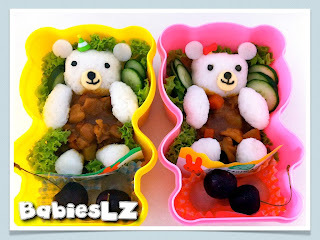 In the boxes: Rice, Japanese chicken curry, cucumber, longan & cherries. Z was happy today to receive a little note of encouragement from his math teacher. It says "You did well in the math perform task. Keep up the good work you have been doing. Always try to be careful with your calculation. concentrate on the task at hand." It was very sweet of the teacher to do that, thank you teacher. You have brightened his day!